My first friend was a Mexican. It was early in a long life, so it was well before I learned that this detail should matter. Before I was informed that “they” are not “us.” Johnny Hernandez, or Juan, if I were to speak more precisely, was a few years my senior and befriended me, the skinny one, “El Flaco,” during my days in the Birdville housing projects. I recall very few images of his face, the memories of early childhood corroded by decades. Only the back of his head and neck are vivid. They remain a vision of a fine round shape studded with the short black stubble of a crew cut and topped by a blazingly white, perpetual navy seaman’s cap, its upturned cuff of a brim carefully pulled into an oval and worn slightly canted to the right. 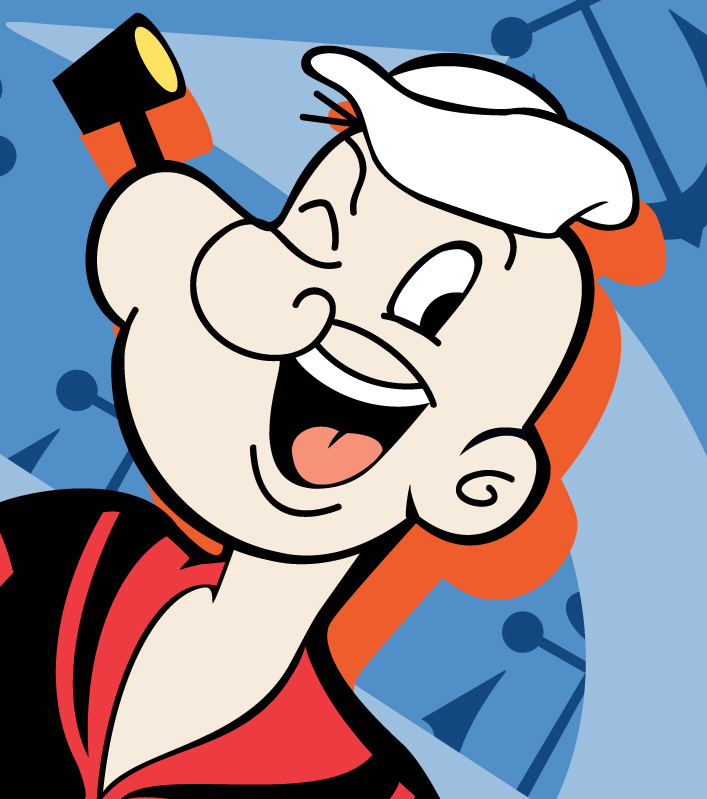 When I think on it, it brings to mind the cap worn by Popeye the Sailor Man of the cartoons. But Johnny was more than a cartoon. I say that Johnny was a “Mexican,” although I really never knew on which side of the border he was born, whether in Alabama or some other US state or in one of the states of Mexico like Coahuila, Chihuahua, or Sonora. It never occurred to me to ask, so we never spoke of it. It would not have mattered anyway since I had no concept of a state or a country then, nor of the significance of the information. Johnny was just my big friend who looked after me in the communal meadow where the neighbor kids climbed and swung from the ancient oaks, played chase and ball and roamed. I was his “Swinn-fendered” friend too who rode on the back of his bike up and down Flamingo Drive, my legs outstretched to avoid entanglement in the spokes or sprocket and chain. It was he who picked me up when I lacerated by calf on a broken bottle in the commons and who carried me bleeding on his back, nearly soiling his pristine cap in the process of my rescue. I still bear a white line of a scar with four pair of pale dots as outriders where the staples went through the skin to effect a closure of the muscle and other tissue. It is a constant reminder that my memory of the experience is real and of the reality of Johnny’s kindness and friendship. The truth is that Johnny is a friend from the dawn of memory when all things that I still retain are mist-covered and rose-hued; he was part of the days before I went off to school and learned the cruelties of the playground, the will to power that is the feckless desire of nations. 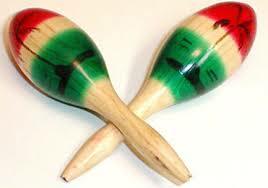 Thus, only later did I conclude the country of origin of Johnny’s family from reconstructed evidence: the souvenir maracas that always rested on the telephone table by the stairs that exulted in colorful painted and fluid script, “Mexico!”; the strange way Johnny said the word, “Meheeko” when I asked about them; the sweet but indecipherable speech he used when he spoke to Senora ‘Ernandez; the exotic aromas of onion, garlic and cumin that wafted like a halo around her as she stood in the doorway of her cocina next to the hand-tinted print of Jesus of the sacred heart that hung above the dinning table. She was a short, very tan lady who reminded me of a younger version of my beloved grandmother. She never said a word to me, only smiled when I came calling on Johnny. Señor Hernandez I saw only on the weekend and always in a cotton-ribbed undershirt and khaki twill pants. Often he held a newspaper in his hand when he greeted me at the door, his smile barely visible through a black moustache peppered with graying hairs. “Hello, Sammy. Johnny will be down in a minute,” he would say. Then turning to the stairs he would shout across the maracas something that I could not understand that could have sounded like “¡Oye, Juanito! Ven aquí! Tu amiguito esté aquí.” Then he ignored me as he returned to his newspaper. In a few minutes I would see the white seaman’s cap sail down the staircase with my friend suspended underneath. My first taste of Mexico came from Mrs. Adams, known behind her back as “Mrs. Atom Bomb” for her volatile temperament, who was my desperate sixth grade teacher at South Brookley Elementary School, and who was the unlikely source of my initiation into Latino cuisine. She opened a small tin can of tamales and warmed them in an electric skillet she had set up next to the cloakroom door during an otherwise forgettable social studies unit on Central America. It was my first and only taste of Mexico for many years. Her culinary experiment unfortunately missed the mark as I and my classmates were put off by the nondescript taste of the greasy pork blobs held together with translucent corn husks and masa glue. I looked at the faces of my peers and saw there the same repulsion that I felt. Nevertheless, I knew better than to hold my nose as I had done to impress Mary Louise Thompson of the long platinum hair when Mrs. Adams had read the story of Lazarus in our morning Bible reading a few weeks earlier. “Sammy Mat’son, meet me in the cloakroom!” She had demanded. My penance: to stand alone, banished for an hour after a severe chastisement for irreverence. I was unimpressed by the food, not only by its taste but also by its unhappy association with the nearby closet. On the other hand I was very much impressed by the appliance she had brought to school for the occasion. I had never seen such a device before nor had Juan, I suspected. I wished he were there to see it. The skillet was manufactured by General Electric whose motto—“Progress is our most important product”—was emblazoned just below the trademark. From the demonstration I concluded that if tamales were all a Mexican chiquito had to eat, it was no wonder why he was starving. It was also clear to me why he surely and earnestly longed to emigrate northward across the river to find real food such as I enjoyed. For a long time afterward I thought of Johnny’s nameless cousins whenever I was admonished by Mother to eat everything on my plate. “Remember all of the starving children who are going to bed hungry tonight while you throw away food.” Thus, I internalized the lesson of nonsensical consumption on behalf of the huddled and hungry masses of the world. I learned to feel a sense of global obligation whenever I sat at table, one I discharged faithfully with “Please pass the mashed potatoes and the gravy” and by manfully cleaning my plate. It would be necessary for me to abandon the South and migrate west before I could really taste the flavor of “Tex Mex” and fall in love with chili peppers. During my college years, however, I subsisted on Tuesday night enchiladas at El Chico Mexican Restaurant. What is more, summers—while I was in college—were spent in Texas, too, where I received basic training in extreme “southern” cooking, that is, cuisine that came from south of the Rio Grande. The city of San Antonio was where my palate acquired its affinity (at five for a dollar) for the crisp, delicious melded flavors of meat, corn tortilla and greenery. I crunched contentedly and I audibly blessed the unknown genius who invented the taco. I thanked God for my good fortune to happen on the crispy Mexican sandwich at last. In the Alamo City one can not escape the scent of Latin spice, but in Mobile in my youth we did not know of such “ethnic” or “immigrant” cuisine, Mexican, Chinese or even Italian. I have reflected on the oft-asked question: what does it mean to say “I am an American?” Almost all of the people I meet are either immigrants themselves or the children of immigrants. Only some have come to North America earlier than others; only some under more affluent or respectable circumstances than others. The “Mexicans” and other Spanish-speaking Mesoamericans, as well as Middle Eastern speakers of Arabic or Farsi surged to our republic at the end of the twentieth century. In the nineteenth century it was merely different peoples: the Irish, and the Italians, and other Middle Europeans. A century earlier the British and the Spanish and the French came to the “New World”—and Africans. Some immigrants came willingly; some were compelled. From the first European colonization of North American until the trade in human life was outlawed in the United States in 1802, twelve and a half million persons were forced to immigrate to this continent as slaves, 10.7 million surviving the journey. By whatever means we came or whenever was the day, none found a welcome from the “others” who had preceded him. I have read of the resentment of the Irish Catholics who dared to settle in Protestant New England. I have heard of the scorn of freed men in the hearts of their former masters during the “Reconstruction” of the South. The first inhabitants of America who had themselves immigrated here ten to twenty thousand years earlier did not welcome the avaricious “white” men and apparently for good reason. Inevitably it seems we resent those who come late to the party. We congregate with “our kind” and divide the world into “us” and “them” and in the process miss out on so much, I fear. The thought saddens me and I wish for all, the same innocent friendship I knew in Johnny, joyfully ignorant of our irrelevant respective and divergent patrimonies. In the succeeding post next week I will examine why the human compulsion to tribe is both natural and immoral. Until then, I offer this sweet comradeship that many would disdain: my first friend was, most likely, an alien but also a most kind human child, who befriended me without condition. The intangible gift received by the skinny kid (pictured above), now a man grown old, he will forever treasure just as surely as if he still held his friend’s hat in his very hands.